Bizz Buzz are back on the scene with a re-vamped website offering special deals for small business. This week's offer is a $5 metropolitan courier delivery service via Couriers Please. The normal fee is $13.90 but you get 10 delivery coupons for just $50. It costs extra for regional and interstate delivery but the big plus with Couriers Please is that they pickup from you. New Web Opportunities for Traders. You may have received a brochure at your stall on Sunday from a mob called Market Central (http://www.marketcentral.com.au) offering an online presence for traders. 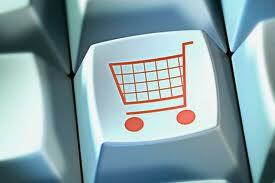 For $1 per day you get a webpage outlining your products and trading locations. A similar setup for smaller retailers will be offered by a new website called Spruiks (http://www.spruiks.com.au) which starts in September. Basically, theses sites are offering a simple form of online presence for small retailers without the expense of setting up a full-blown website. Our initial impression is that QVM traders already have these facilities for free through the QVM website, with the added bonus of social networking exposure. The QVM website has a long way to go before it can be considered consumer friendly but hopefully that will be achieved with the upcoming site revamp. Following the initial flurry of traders posts on the QVM Facebook page which commenced on 2nd August, we have submitted further daily offers over the past week – Ly’s Diver’s Watch, Raphael’s alternative style clothing and Michael’s clockface biscuit tins. More will be presented this week as we take advantage of up to 5,500 impressions (pageviews) up for grabs each time a post is presented on Facebook. You can view the action on the Queen Victoria market Facebook page and let us know what products you would like to see promoted by contacting Greg Smith on 0406 222 020. 1. Giant online fashion retailer, Asos, will launch its operation in Australia this September. There will be over 50,000 branded and private label products on the site across womenswear, menswear, and accessories tailored to the 16 to 34 year old market. 2. Athletes Foot chain reports a 30% increase in profits and a 7.3% increase in sales. 3. Fantastic Furniture Group produced a 9% rise in profit despite being dragged down by Dare Gallery performance. 4. Flight Centre posted a $140m profit after a “flat” year. 5. Noni B reported a profit of just $700k as it took advantage of quiet trade to tidy up its backroom and prepare for the inevitable return of consumer confidence. What do you do/sell at the market? - Men's and ladies footwear. How long have you been at the market? -31 years, although my family has been here for 45 years. What do you like best about the market? - Customers & stallholders and occasionally management. Worst moment? - Hearing about people dying. Past jobs? - None really - born & bred trader. Sporting interests? – AFL and 20/20 cricket. If you were CEO for a day? - I would try to have a better understanding of stallholders and their individual needs. One thing nobody knows about you? -I once started a panel beating apprenticeship. Favorite food? - Anything - I just love food. Favorite drink? -Brown Brothers Cienna (a light sweet red wine). If you had your Sunday arvo free from the market, what would you do? -play with the kids. If you were given a 2 week free holiday anywhere around the world, where would you choose to go? – Europe. Anything else you'd like to say about life at the market? – I love market life but not the current hardship. 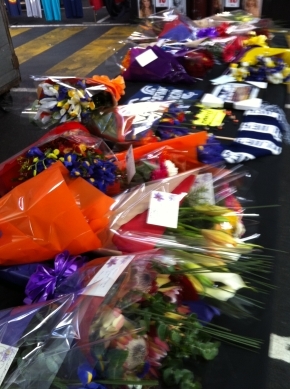 Trader David Borynsztein passed away this morning after a long illness. Our sincere sympathies go to wife Kate, son Daniel and to Isaac and family. News of David’s passing circulated quickly around the market, however, it has been suggested that traders may wish to leave a message on this forum. If you would like to express your sympathies or recall some stories about David we will be happy to post them so they can be shared with other traders and passed on to David’s family when appropriate. A few interesting examples this week of retailers responding to public pressure. IGA have removed Black & Gold toilet paper from their range as Greenpeace draws a link with the paper manufacturer and de-forestation causing the death of endangered tigers in Indonesia. On a similar vein, Officeworks have removed APRIL paper products from their shelves following the Indonesian revelations. KFC have announced that they will no longer be supplying toys with their children’s meals in an effort to remove “pester power”. We see these examples as just more evidence of consumers becoming aware of a whole range of retailing issues. There is anecdotal evidence at our Queen Victoria Market that customers are being more upfront as they demand quality, service and best prices. How often have you heard traders say - "My customers are giving me a hard time." 1. Westpac says consumer confidence is at its lowest level since May 2009. 2. US retail sales rose by 0.5% in July, the first rise in 4 months. 3. Reject Shop have blamed a 30.8% fall in profit on summer weather factors. 4. The world’s largest retailer, Walmart, has announced a 5.7% increase in income for the July quarter. 5. Zara Fashion chain caught up in slave labour scandal in Brazil. 6. Super Retail Group reports a 46% profit rise on the back of soaring sales. 7. Billabong posts 18% fall in annual profit as it battles with poor economic conditions and the rising Australian dollar. 8. Retail Exhibition and Conference 2011 to be held at Exhibition Centre, Docklands, 13-15th September. What do you do/sell at the market? Sunglasses. How long have you been at the market? 8 years. What do you like best about the market? - Meeting different people. Truth? - going home. Past jobs ? Deck hand on fishing trawler and tree lopper. Sporting interests? - AFL, NRL. One thing nobody knows about you? Working on a fishing trawler in the coral sea, 18 hours a day, 7 days a week. Favorite food? - Chicken Parma. Favorite TV show/ movie ? - Sin City, Swamp People. Fav musician ? Iron Maiden. What is the best piece of advice you've ever been given? Don't take things for granted. If you had your Sunday arvo free from the market, what would you do. ? Go to the footy. Who’s the most famous person you have met in your stall.? Liam Gallagher from Oasis, Eva Longoria. What are your odds for the premiership/ brownlow this year? Geelong favourites just ahead of Collingwood and Hawthorn. Judd - easy. Smoky? - Suckling. - Know your nationalities. If you can’t tell the difference between Chinese and Japanese, now is the time to learn. Chinese people hate being addressed in Japanese, so err on the safe side. Learn to say ‘Ni hao,’ (Knee How) which means ‘hello’ in Mandarin. - Chinese tourists will be looking for non-Chinese manufactured goods. If you do have Chinese made goods that are designed in Australia, make that point, but don’t attempt to mislead any customer. - Language can be a problem for many tourist groups. Chinese tourists will need the same understanding you apply to any non-English speaking customer. - A cultural tip – Always accept and return credit card, cash or name cards with BOTH hands. This is an important courtesy. Google and MYOB have joined together in a project to get more Australian businesses online. - A free website for one year then $5/mth pay as you go. - Free .com.au web address for two years. - Help and advice along the way. With your own website and .com.au address, you can better service customers looking online for information about your business, such as pictures, opening hours, location, and prices. The End of Bricks & Mortar Retailers? “At the barbecue of retail business, bricks and mortar are the smouldering ashes while online retail flames leap through the grill.” This quote from a recent RetailBiz article may be extreme but the trends are undeniable. Coming from a symposium on E-commerce, you would expect views like this but, even if you strip out the bias, it seems clear that modern retailers need to embrace a variety of online and social networking methods as they chase the customer dollar. 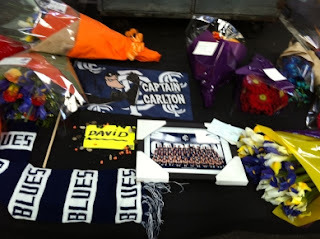 Fortunately for Queen Victoria Market Traders you don’t have to computer experts to achieve this. The QVM can do it for you. Simply contact Andrew Cyples with your product information and you can join the online revolution. It is purely conicidence but within half an hour of posting about Westfield's Facebook Check-in Deals we receive news that 7 - Eleven is doing the same thing. Consumers who "check-in" at a 7 - Eleven store this week receive an offer to buy a 450ml Coke for $1.00. Basically, they are replacing printed coupons with an electronic coupon. 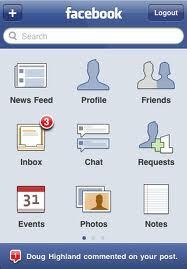 Facebook mobile applications have a check-in facility that basically enables users to say “I am in a particular location” e.g. The Queen Victoria Market which, by the way, has over 18,000 check-ins so far. Westfield have turned “Check-ins” into a marketing opportunity. When a user checks-in at a Westfield Shopping Centre they receive a special offer from that centre on Facebook. In the first week of their trial it is 30% of all full-priced jewellery at Angus & Coote Jewellers. Not sure how widely available the technology is but it could have application to the QVM and General Merchandise Traders. Nautical Replicas are gearing up for Father's Day with a couple of special offers as detailed below. We would like them featured through appropriate market channels and ultimately we will incorporate them in our window display on 22nd August. Relevant photos are attached. 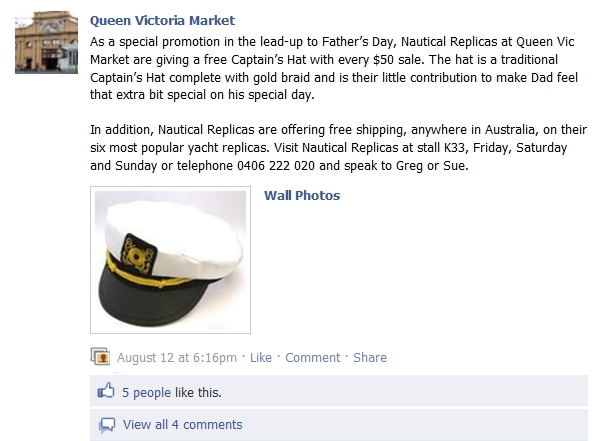 As a special promotion in the lead-up to Father’s Day, Nautical Replicas are giving a free Captain’s Hat with every $50 sale. The hat is a traditional Captain’s Hat complete with gold braid and is our little contribution to make Dad feel that extra bit special on his special day. In addition, Nautical Replicas are offering free shipping, anywhere in Australia, on their six most popular yacht replicas. Visit Nautical Replicas at stall K33, Friday, Saturday and Sunday or telephone 0406 222 020 and speak to Greg or Sue. Nautical Replicas Post – 5 people “Like” this; 4 people left comments; 4,124 impressions. Like we said at the beginning – EASY! We recently posted a letter from a trader who had by-passed QVM sources to buy a mobile phone accessory online. A trader has now responded to that act of treachery (our words not theirs). I haggle with suppliers in order to get deal prices as well.. I am also happy to give a trade price to any market traders and office staff and also their friends. Do u want the best price? we should perhaps ask the retailer for the lowest price in a discrete manner..
Point taken Joe. Good advice and thanks for taking the time to respond. Our market has featured in many Youtube videos over the years and we'd like to post some of the ones that are more relevant to General Merchandise Traders in coming weeks starting with the famous Christmas TV commercial from 2010. Position Vacant: Unique Product Locator. Role: To identify unique products, groups of products, or services at the top end of the Queen Victoria Market for presentation through various media in order to excite our customers. Duties: Liaise with General Merchandise Traders in order to identify unique products or special deals that have standout qualities. Experience: An experienced retailer is likely to be ideal for this role although simple shop-aholics may have the necessary skills. Goals: getting more customers for all General Merchandise Traders. - Bruce’s Sock/Shoes for toddlers. - Leo’s Tattoo Gun Belt Buckle. - Michaels Chocolate Chip Biscuits in nostalgic Hollywood star tins. - Rosalie’s double sided wrapping paper. - Thao’s handmade silk handbags. - Peter’s custom made shoes. Each of these products has a uniqueness that deserves promotion. We believe they will stand out in consumer’s eyes as being interesting and worthy of a trip to the market. It may be because of their inherent qualities or a sensational deal. There are hundreds, if not thousands, of these products throughout the top end of the market and we simply need your help to identify them and promote them. Your role could be as simple as identifying one product that deserves promotion. That product may even be in your own range. You may feel you have a better skill at identifying promotable products than some of trader volunteers or even the marketing professionals in the office. Either way we need your input. If you have some ideas, telephone Greg Smith on 0406 222 020, visit him at Stall K33 on Saturdays or talk to your nearest Trader Volunteer. 1. Masters Home Improvement Stores (the joint venture between Woolworths and US based Lowes) has ramped up its competition with Bunnings by announcing that its stores will house McDonald’s restaurants. The first Masters store will open in Braybrook in September. 2. JB HiFi announce a record profit (up 13.3%) with a slight dip in same store sales but remain one of the current standouts in retail store performance. 3. Toy giant Mattel has been ordered to pay rival US$300 million in Bratz copy case. 4. Westfield Shopping Centre Group has announced a dividend to shareholders in line with expectations. Retailers may be struggling, but their landlords appear to be going OK. Surprise, surprise! 5. 83% of retailers expect that consumers will spend less as a result of the carbon tax. 6. Domino’s Pizza Stores have announced a 20% lift in profit for the year as they continue to roll out stores. 7. Harvey Norman has killed off the Clive Peeters brand saying it is too damaged. Stores will be re-badged as Harvey Norman or shut down. 8. David Jones has announced a 10.3% slump in sales for the May/July quarter. 9. Webjet announce a record profit as our multi-speed economy shows Australians consumers are still prepared to spend on travel. It might sound like a stupid question but online marketing has made it crucially important that your market business has a relevant trading name. You would be amazed at how many traders have not thought about how they identify themselves to their customers. Selling yourself to your customer while they are in your stall is easy. What about when they read about you in a tourist publication or online. Does your name give them a vision of what you sell? Gone are the days when we simply relied on customers passing our stall for our business. 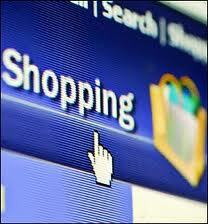 More and more customers are pre-shopping – checking out online before they venture out. They’ll check out the QVM website, check posts on Facebook and Twitter, and search Google. Just as every high street shop has a distinctive name, we need a name that helps customers identify us. We may not have signs out the front of our stalls but most of us have business cards and many of us are now featured on the QVM website and receiving promotion over the social networks of Facebook and Twitter. If your business name is distinctive and relevant to your product range it will make it a lot easier for your customer to connect. What is the bottom line? If you have a relevant and distinctive business name, your customer’s will find it a lot easier to remember you and find you, not just at the market, but on all the new networks that customers use to do their shopping. A wag is a mischievous person and we have a few of those in our trader ranks. One such wag has suggested a test for new traders to the market. Now, let us make it clear that we don’t wish to pick on any trader or group of traders. We are here to support all. However there are some things that traders should be ashamed of and, in this case, we think the following multi choice questions could equally apply to some long term traders. B. An interruption to my phone gaming. A. Something somebody else does. C. A way of increasing sales. A. It's a last resort if my customer doesn't have cash. B. It has bright lights and buttons and might play games. C. I believe extra customer convenience leads to extra sales. Like we said – a few wags in our trader ranks – but for all those traders who spend more time playing games on their phones than improving their business - the message has merit. Jewellery Giant's Fall From Grace.